Can a homewatch company be licensed in the State of Florida? | Homewatch Services Etc. Can a homewatch company be licensed in the State of Florida? The answer to that question can be yes or no depending on who you ask. My answer is “No”. I’ll explain why and I’ll also offer some suggestions of what you can do in lieu of a license. The Homewatch (or Home Watch) industry is not regulated by the state of Florida and the Department of Business & Professional Regulation (DBPR) as are real estate brokers, mortgage brokers, appraisers, and general contractors. That means that anyone could potentially start a homewatch company without any regulation, insurance, etc. Unfortunately that is exactly what happens many times. On the other hand, until the state of Florida enacts legislature to actually regulate and require licensure for homewatch (home watch) practices, there are state registrations and local county documentation that can be obtained to let the public and your potential new clients know that you are serious about running your homewatch business legitimately. First off, once you properly and legitimately setup and start your business, your business will be registered with the Florida Division of Corporations. Be sure to keep your business in ‘active’ status. This is completed by you as the business owner paying an annual fee and filing your annual report each year. When you file your annual report, you will be given the opportunity to update all your current business contact info, board of directors info, etc. This to me is very important; because you are letting the public know who you and your business are and that you are not hiding behind some ‘made up fly by night operation’. Secondly, be sure to apply for your county’s local business tax receipt. Where I live, it’s called the Lee County Local Business Tax Receipt. It has my business name and address on it, it states “May engage in the business of Property Management”, and it is good for one year. Which means you will need to apply for a new one each year you are in business. Now some professionals may tell you that if you don’t have a commercial ‘brick and mortar’ office site because you are running your homewatch business through your personal residence with clients not going to and from your home, that you don’t really need one. My suggestion is that you get one anyway. By you maintaining this local business tax receipt, you are once again telling your clients that you are serious about what you do. However, this is where some people get confused whether homewatch is licensed or not. In the 90’s and early 2000’s, the Lee and Collier County’s “Local Business Tax Receipt” used to say “Local Business Tax License”. So many people got used to saying they were licensed and so the term “Licensed” stuck over the years. That is why many Florida homewatch business owners still today say they are licensed. I know because I used to be one of those. I have now steered away from using the word “Licensed” because it insinuates there is a license for homewatch (home watch) in the state of Florida. So I just make it a point to tell all my clients that there isn’t any license available for homewatch (home watch) in the state of Florida…it just doesn’t exist. If there was, we would absolutely have one. I myself have been in property management for the past 16 years. I’m a licensed Florida Real Estate Sales Associate and a licensed Florida Community Association Manager (CAM). I’ve managed seasonal and annual investment properties in the Bonita Springs and Naples area along with a portfolio of several community associations in the Fort Myers area. So I understand the importance of maintaining vacant properties. I also understand the level of trust extended to me and my company when a client chooses to utilize our homewatch (home watch) services. So in conclusion, even though the state of Florida does not issue an official license to you for your homewatch business, your business can still be registered with the Florida Division of Corporations and your local county. You can also take Florida approved property and association management courses and work toward your CAM license. 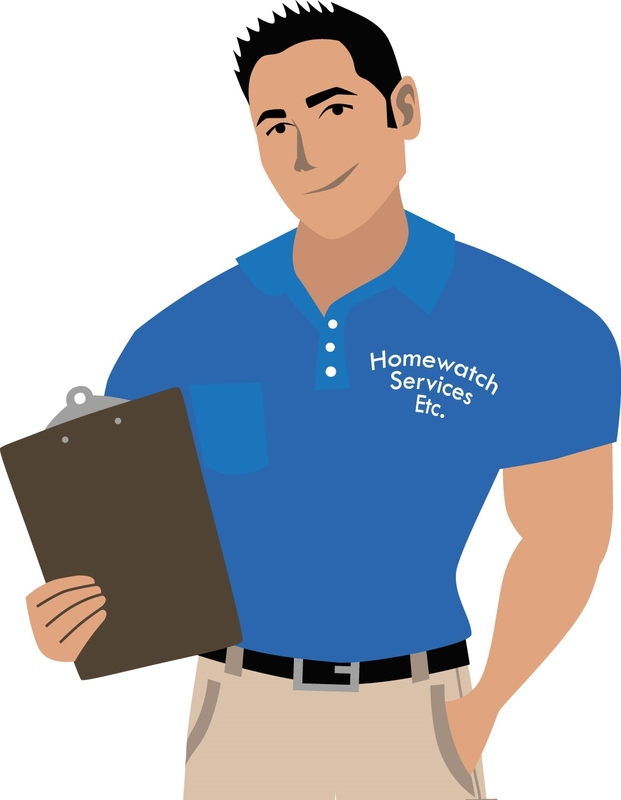 Running a legitimate homewatch company isn’t rocket science; it does however take honesty, integrity, lots of multi-tasking, proper communication, and commitment on what you tell your clients you are going to do. Excellent post Carl. This lack of licensure, regulation and even registration in the State of Florida is exactly why your company’s accreditation and your involvement in the National Home Watch Association is so important. Thanks for sharing your thoughts and ethics with everyone. Thank you for this valuable information. 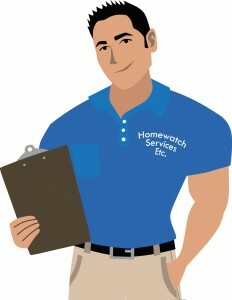 I am a new member with NHWA and new to the Home Watch Industry. I am also a licensed CAM and Realtor Sales Associate. But to be candid I have not used my CAM license in the field because shortly after receiving my CAM I moved to Japan. I am now back from Japan and my company name is Looking Glass Home Watch, located in Citrus county Florida. I will be attending the conference in Arizona this year, hope to meet you there. I didn’t know that there wasn’t an official license for homewatch businesses. That is great that they can still be registered with their local county though! I have been looking into hiring a home watch company to watch over my house while I am gone overseas! I’m glad to know that when I start looking that no company will really have an official license, but they can be registered in their county. Thank you for all the information! I am researching the possibilities of beginning a homewatching business. This article was extremely informative and helpful as all I’ve read says one must have a license. I can now look into a CAM licence. Thank you for your guidance.